Finally, our last Boston-area route before I can switch entirely to the PVTA! 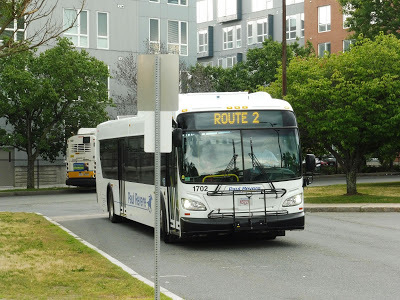 Funnily enough, it’s a route serving a different UMass – UMass Boston. This will finish our reviews of the university’s small shuttle system. This was a nice bus. Due to a Red Line shuttle, JFK buses were boarding at another section of the busway. We got on the 2 and left the busway down Mount Vernon Street. The wide street passed by offices and parking lots. 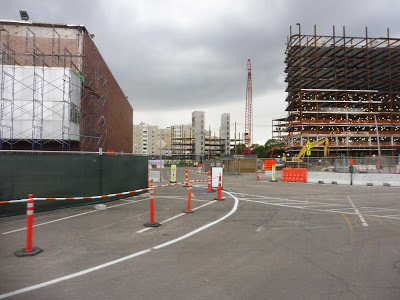 Next, we went by a housing development and a school, then a few apartment buildings. 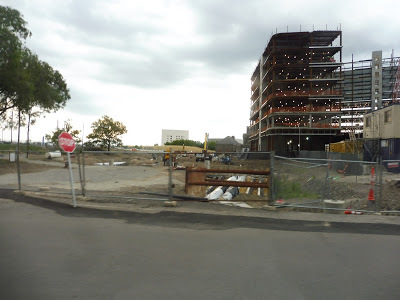 We entered the UMass campus and navigated our way through many construction sites, eventually making our way into the Clark Athletic Center. After that deviation, we came back to University Drive, then turned onto Columbia Point. We turned again, going by the Massachusetts Archives, then turned once more onto Columbia Point. We went alongside the water for a bit, then we turned into the Campus Center. After making that stop, we returned to Columbia Point, but this time we took it a little further than before. The next stop was the JFK Library, where we got off to let the bus make its way back to JFK Station. The bus at the Library. Ridership: This route gets a good amount of ridership all the time. It doesn’t get as packed as, say, the 1, but you’ll still get a good amount of university commuter students, and especially people going to the library. That’s a big tourist attraction, and this is the way to get there directly. Pros: This is basically UMass Boston’s “catch-all” route, serving as a slower, more deviatory version of the 1. Just because it’s deviatory doesn’t mean it’s bad, though – it still serves an important purpose. It’s also the only UMass Shuttle route to run on weekends, which makes sense, since it’s the one that serves everything. Cons: It runs every 20 minutes, which is ebbing toward the infrequent side for a college shuttle. I’m not saying it needs to run more often, but you could easily take a bus off of the oversaturated 3 and throw it on this to double the frequency. Nearby and Noteworthy: The JFK Library for sure. It’s not quite in that A-list range of Boston landmarks, but it’s still a great museum with a fantastic view of the city. The 2 works really well as a way to serve basically everything at UMass Boston and connect it to the Red Line. It’s not as fast or as direct as the 1, but that’s not really its intent. 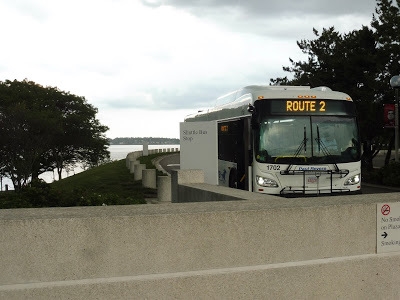 Plus, one can use it to get to the JFK Library, so it serves an important tourist function too. (its freeness also helps with that – yay!) It does seem like weekday frequency could be increased by just taking a bus off the 3, though…I mean, the 3 is just run so ridiculously inefficiently, they have the resources to halve the headways for the 2.